Budget is important because accordingly you can decide the price of each promotional item and total quantity. If the market is vast and mass coverage is important then you look for low ticket promo items with higher quantity for better coverage. Again budget can be defined in two important ways. For newly launched products budget is as per the amount available or earmarked to invest to enter or crack the market. Whereas for regular selling products the budget is as percentage of the selling price of the item involved to increase the market share of the branded products. Here you reinvest part of the marketing budget for enhancing trials to increase the regular base of the existing customers. Moreover here you leverage the marketing budget through higher perceived value of the promotional products instead of direct cash discounts which lowers the value of your branded product. Any Product or Item Which Can Be Imprinted with the Brand Logo or Promotional Message Can Be Termed as Promotional Product. The central idea is to promote the brand or product with message and connect with the target audience. The short listing of the promo product starts with the budget, audience, actual usage or connect and practicability of distributing the gift item. Why Target Audience is One of the Most Important Parameter? Target audience is the next most important parameter as these are the people you are trying to influence or attract through your free gift offerings. The age bracket and profiling helps you identify the best promo product as per the budget already outlined above. The promotional gift should be able to excite and attract them to such an extent that they consider buying your branded product and end up trying the same. Hopefully after consuming they will like your branded products over their existing regular products and switch over to your brand if the overall experience was good or great! Moreover if they are satisfied with your product at least once in awhile they will be be open to the idea of buying and consuming your product and will now know your brand by name! In the worst case you tried your best to influence one more consumer to become your regular user! Here “T + A = U” formula is working which is defined as ‘trial’ leads to ‘acceptance’ which leads to ‘usage’. 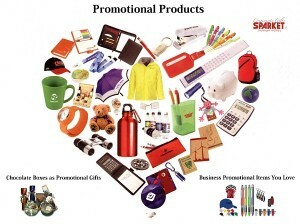 Why Connect Between the Brand and Promotional Product is Important? Connect between the branded and the promotional product is important because you want your audience to able to recall your brand and product together. Avoid selecting a promotional product which fails to connect with your branded product. There are times when you like and love a promo product but resist the temptation to use it without establishing a good connect. For example branded product Parachute coconut oil using Deepika Padukone with head massager as promotional product is a very good connect. Discuss with your regular promotional gifts company about your branded products and ask them to search and come back with good suggestive connected products for best mileage and more bang for your bucks. Your mandate is to find such promotional partners and let your audit and finance worry about the best quotes once you have shortlisted the best promo products. The shortlisted products much reach your targeted audience in the best possible manner to ensure that your effort are appreciated and you achieve your pre-defined goal. For example our telecom client (name withdrawn as so far we have not taken their permission) distributed chocolate boxes to all their migrated (lost) customers with the message” We missed You!” and the slim long box contained the 10 digit phone number of the recipient. Our courier partner delivered over a thousand boxes at Delhi in the air conditioned delivery van on behalf of our telecom client. Interestingly few years earlier at Kolkata we distributed the same promotional gift concept to all their loyal customers for completing number of years with the same telecom Company. ← How to Shortlist Promotional Gifts!